The threat of disease introduction, amplification and transfer from salmon farms to wild fish is serious. Both Bacterial Kidney Disease (BKD) and Infectious Hematopoietic Necrosis (IHN) are common throughout the salmon farming industry. BKD is a leading cause of death to farmed Chinook and coho, and a serious danger to wild pink, sockeye, and chum salmon. IHN, a virus carried by adult wild salmon without visible symptoms, is particularly dangerous both to juvenile wild sockeye and to farmed Atlantic salmon which have little natural resistance. 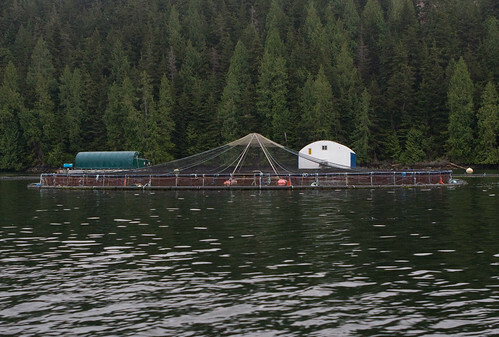 As long as open-net pens allow constant exchange of water to the marine environment, diseases and parasites will also likely be exchanged between farmed and wild salmon.